Congratulations to our graduating class of 2018! 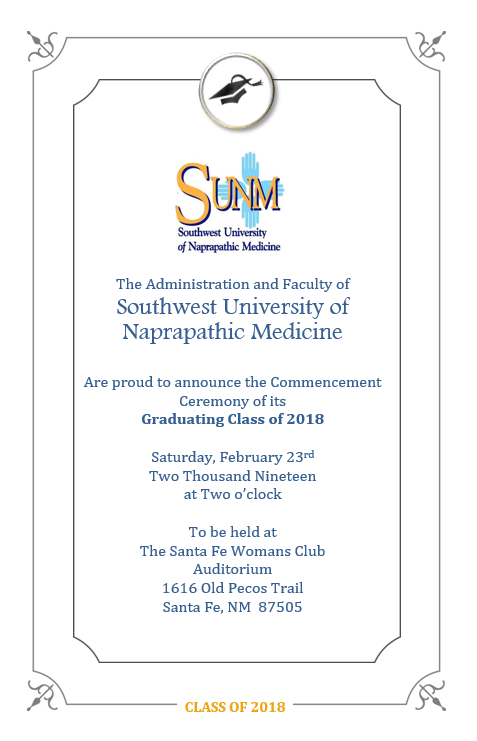 We are very proud of our new Doctors of Naprapathy and are VERY excited to see them go out into the world and change people’s lives. This cohort just completed their dissertations, licensing exams and clinical practical exams and are now ready to begin applying for their state license! 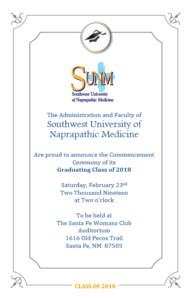 Join us on February 23rd to congratulate these fine ladies and gentlemen on their massive accomplishment.